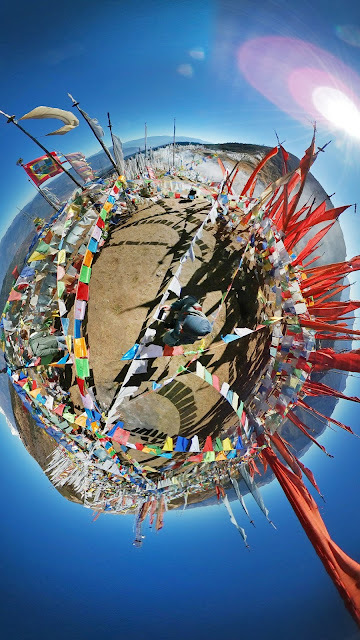 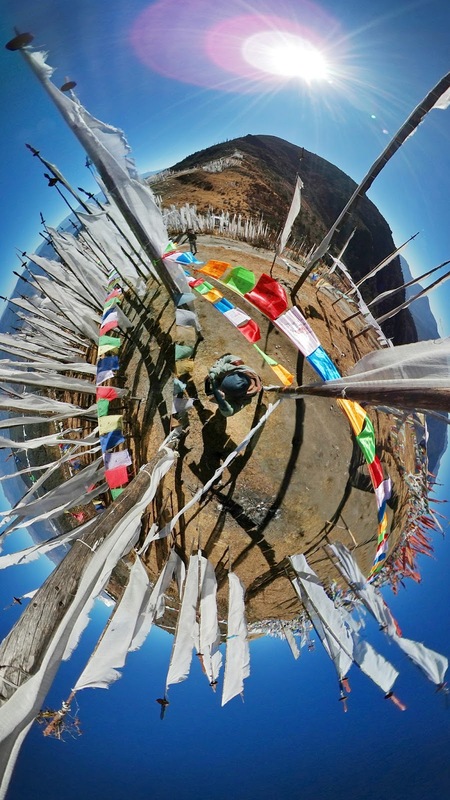 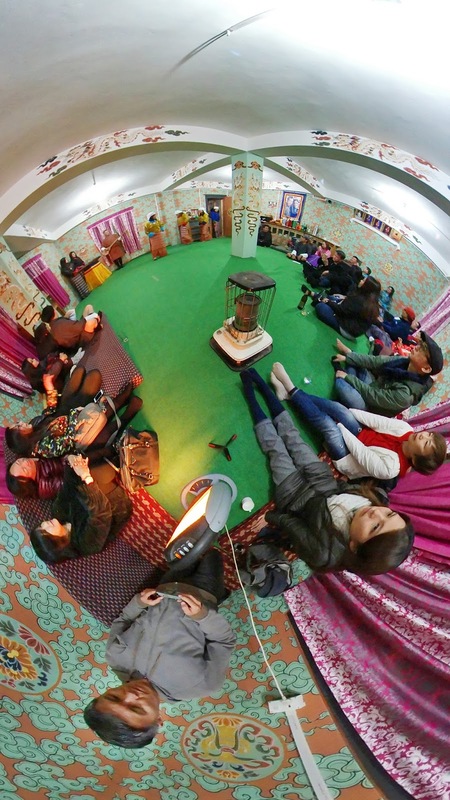 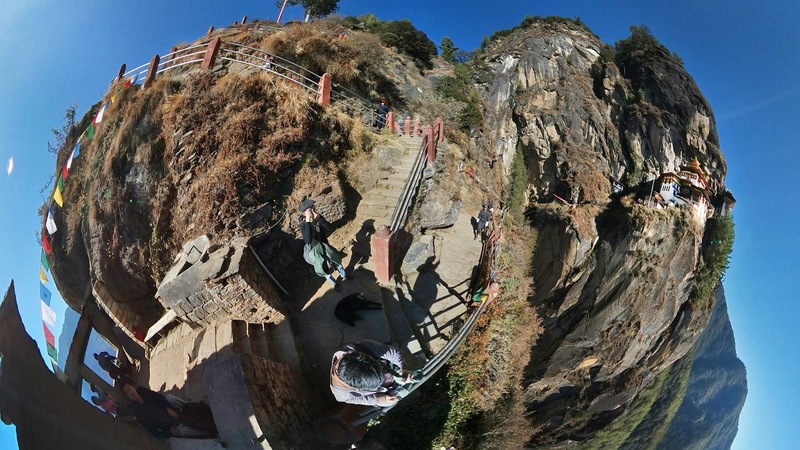 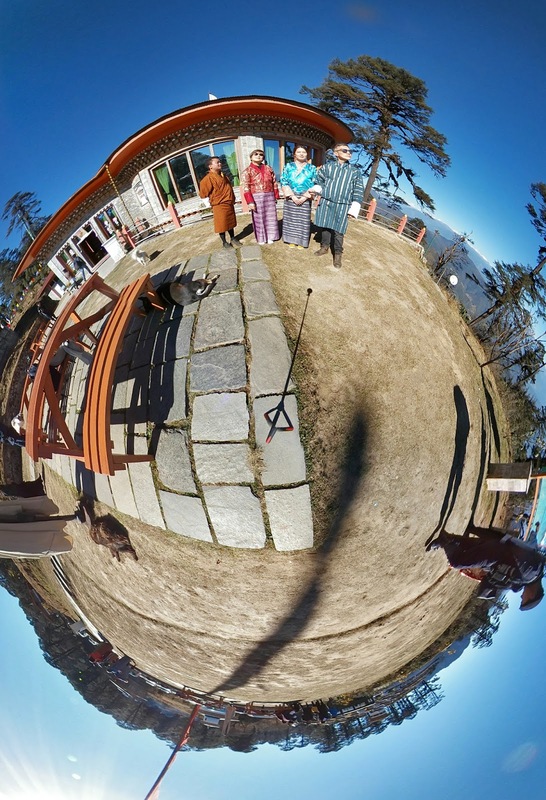 We brought along and tested the Samsung Gear 360 camera on our Bhutan trip in Dec 2016. 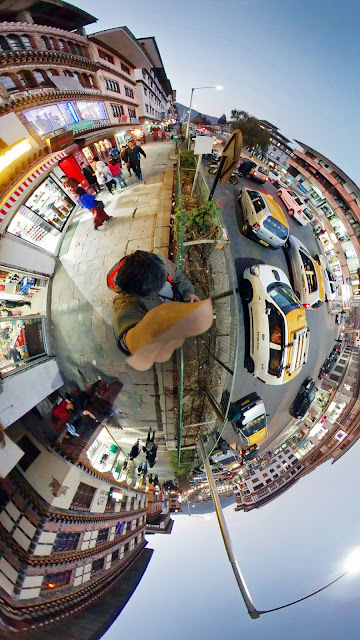 It's a fascinating little gadget that promises a brand new perspective to our world. It's a ball of fun (literally) to use when paired with my Samsung S7 smartphone, capturing 360-degree videos and photos at a click. 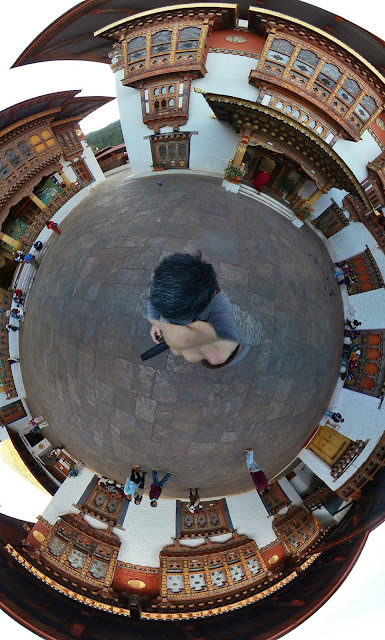 A few interactive 360 images have been shared on my Facebook (https://www.facebook.com/aikian). 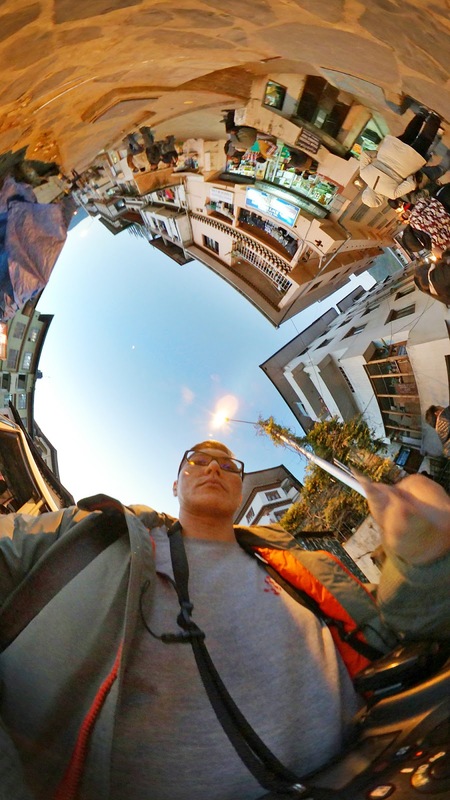 Just scroll down to December posts to view them. 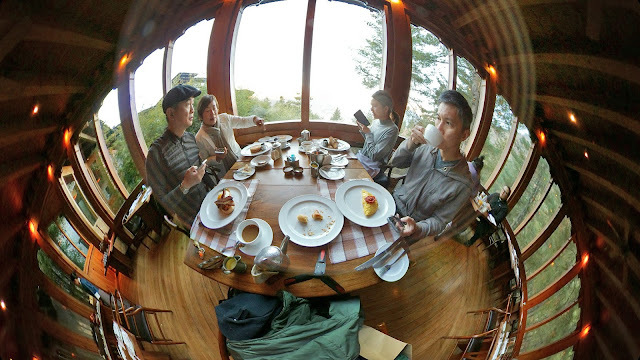 In addition, below are some selected photos taken with the Gear 360, screen-grabbed from the Samsung Gear 360 mobile application on my S7. Enjoy Bhutan from a brand new, all-round perspective! 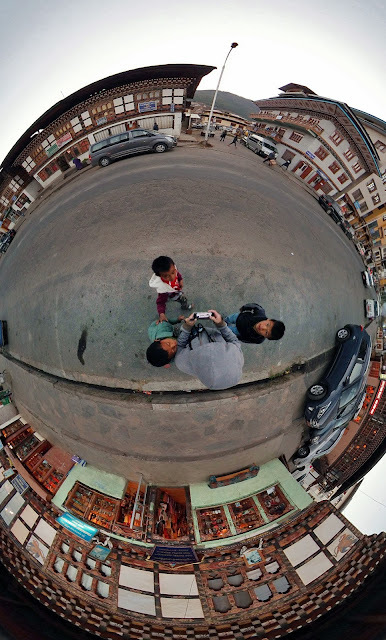 Rounding up the streets of Thimphu - the capital of Bhutan. 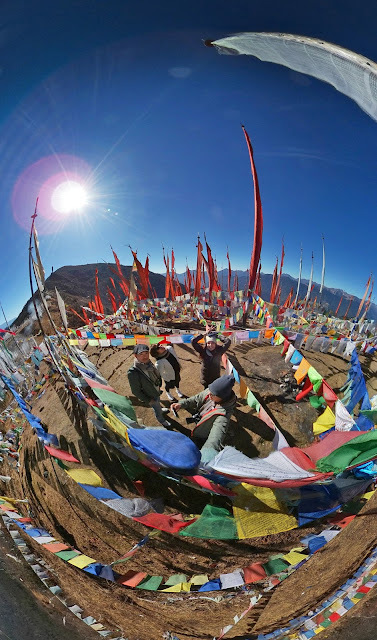 Surrounded by prayer flags at Chele La, 3,988m above sea level. 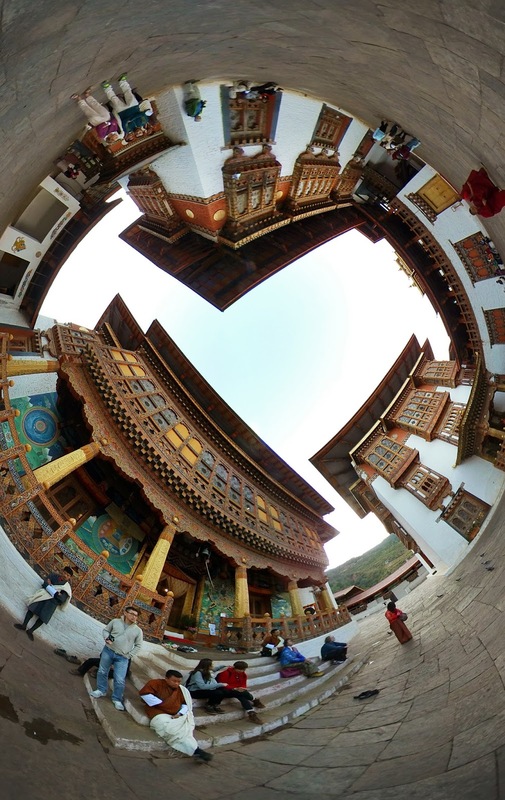 Encircled by the busy shopping streets of Thimphu. 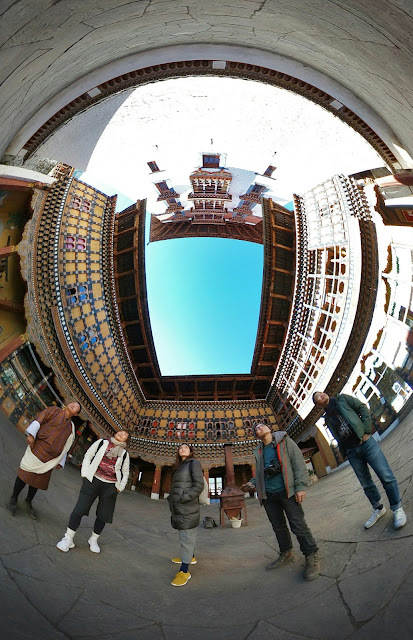 Standing right in the middle of a courtyard in Punakha Dzong. 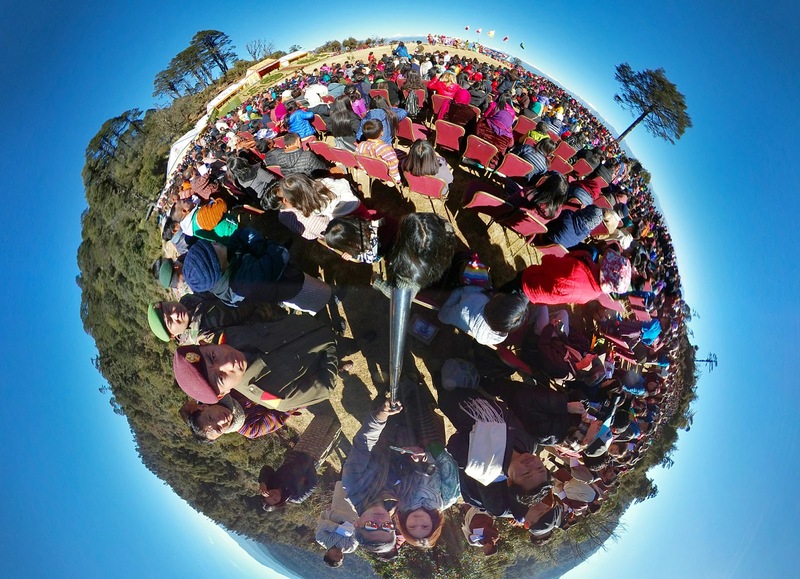 Everyone was waiting anxiously for the arrival of the King, His Majesty Jigme Khesar Namgyal Wangchuck in Punakha Dzong. 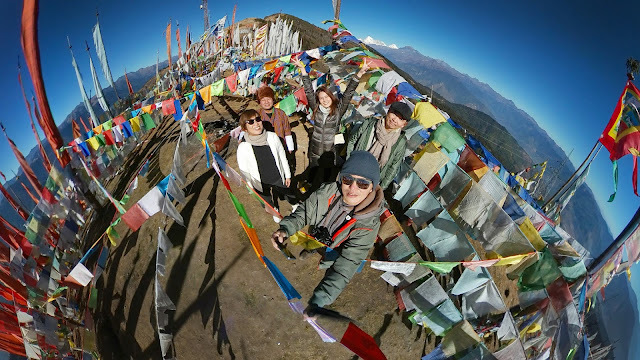 Getting a group photo at Dochula Pass, 3,100m above sea level. 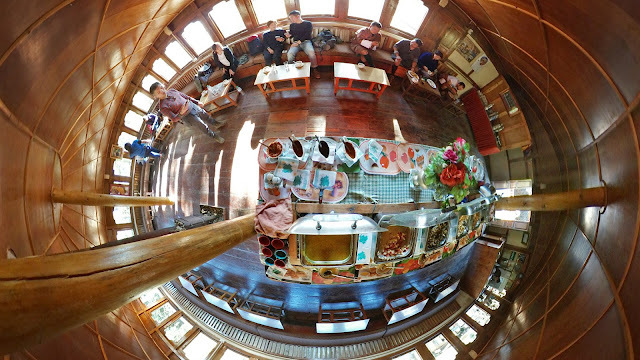 Not forgetting to include the dogs. 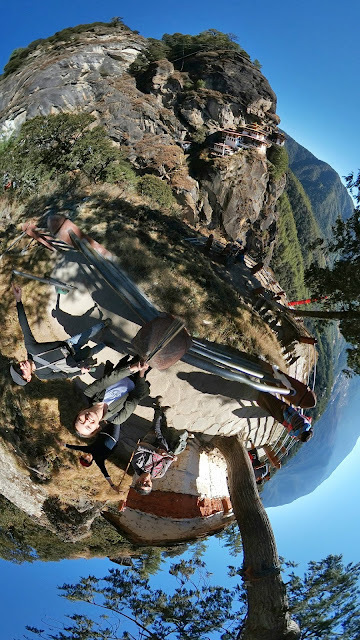 On top of the Druk Wangyel Chortens, or 108 memorial chortens. 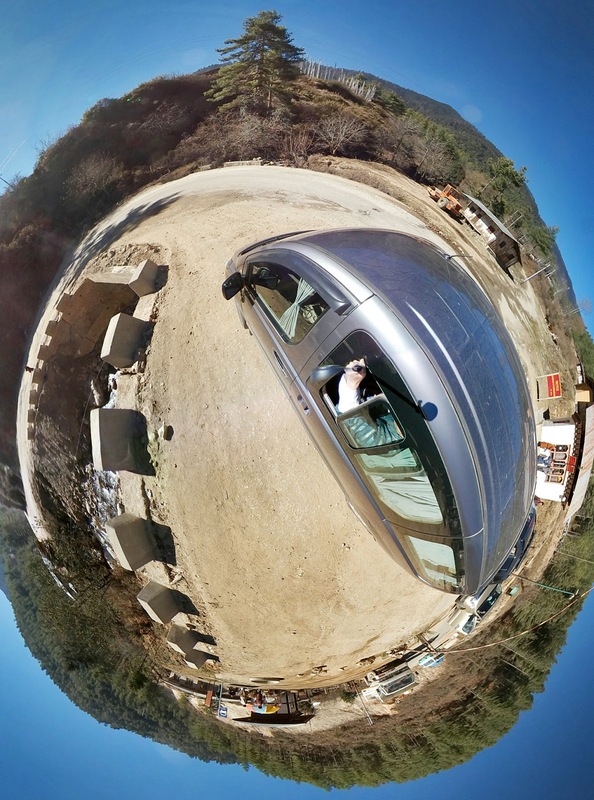 Sticking my ball (Gear 360) out of the window along the way. 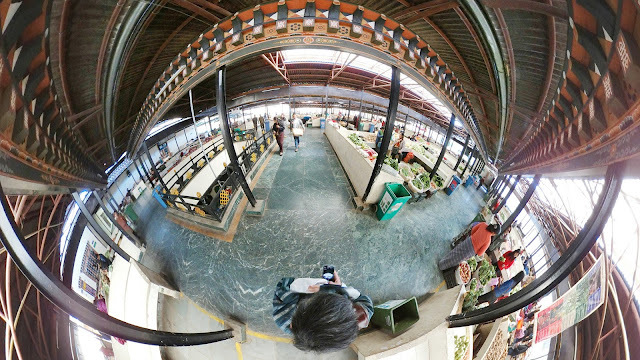 Sweeping the Centenary Farmer's Market at Thimphu. 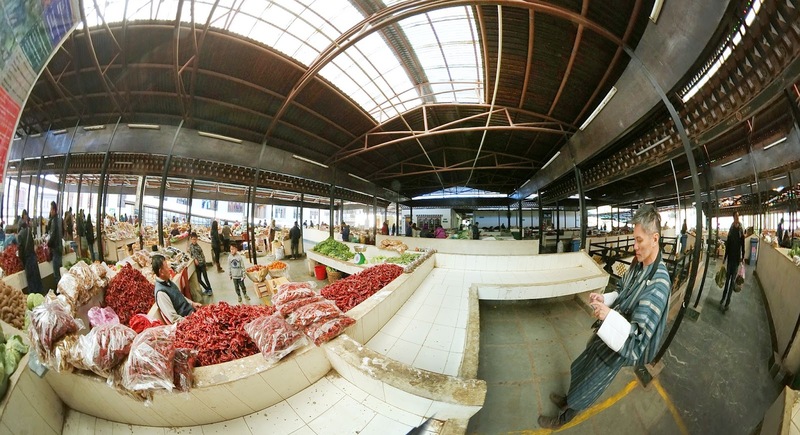 Rounding up with a selfie at the Centenary Farmer's Market. 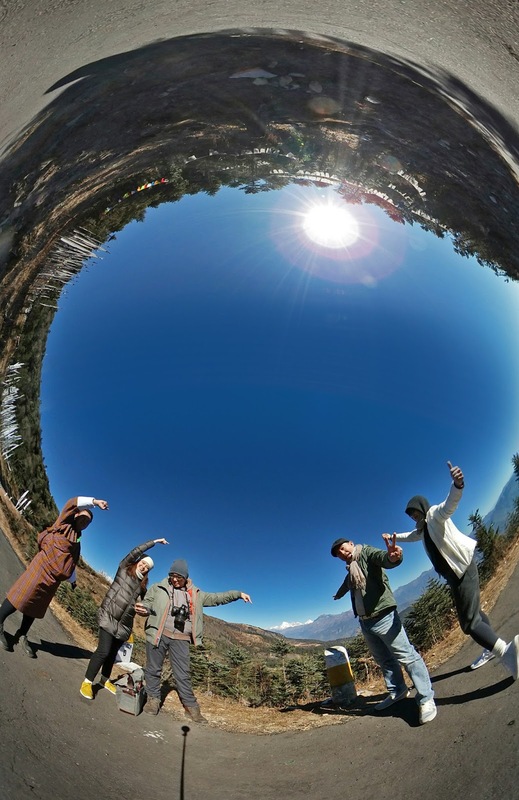 A different kind of group photo at Chele La pass. 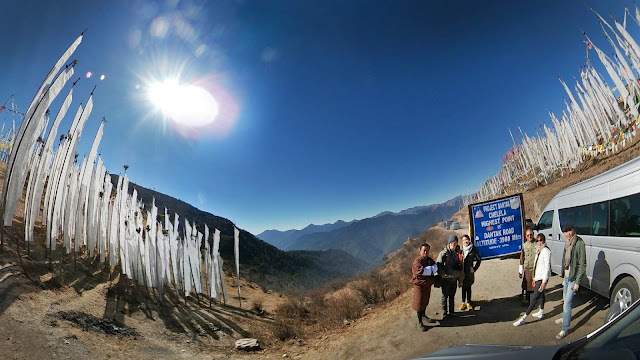 High up at 3,988m above sea level at Chele La pass. Overwhelmed by prayer flags at Chele La. 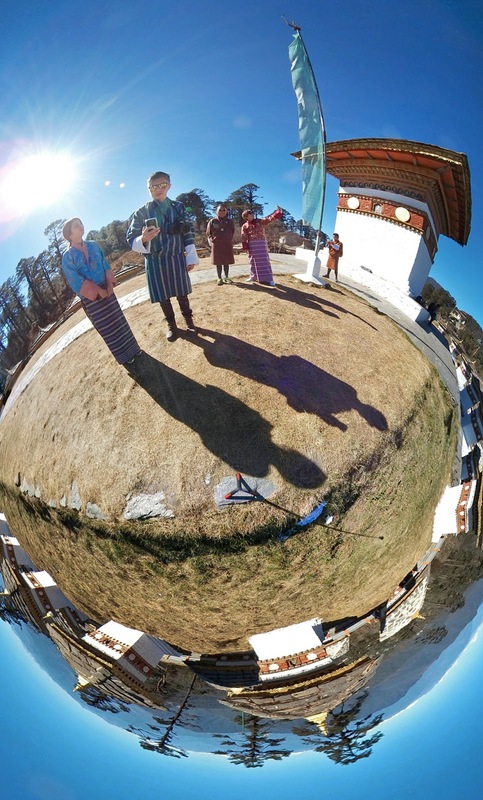 An all-encompassing group photo at Chele La. Felt like on top of the world everywhere we went with the Samsung Gear 360. 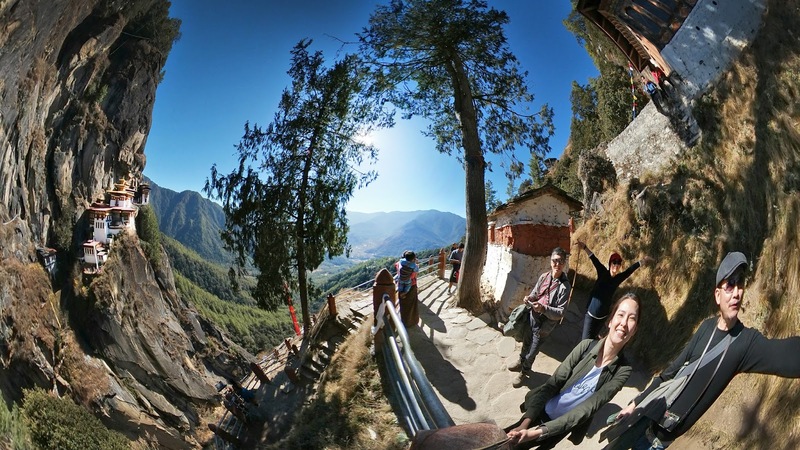 Chele La - an amazing place to be. 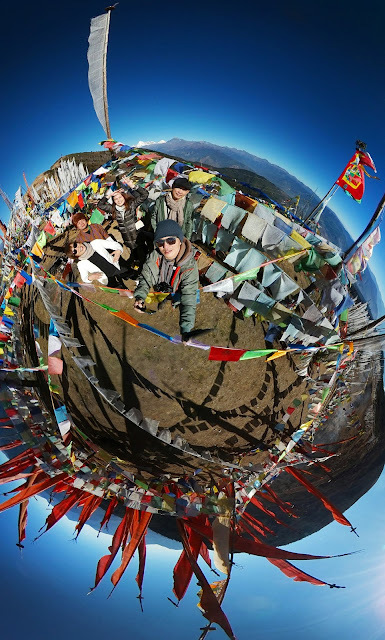 A sweeping panoramic group photo at Chele La pass. On the way to Paro Taktsang, or the Tiger's Nest. The main entrance of Paro Taktsang, Tiger's Nest. 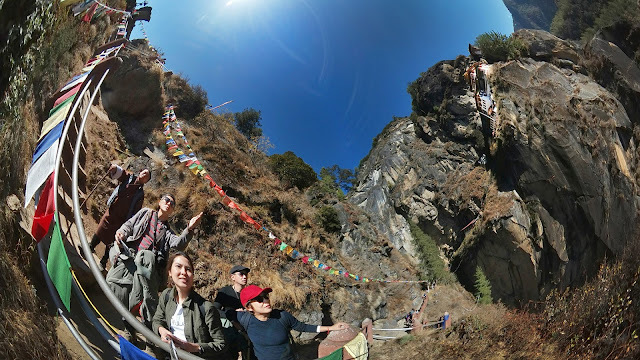 Admiring Paro Taktsang from the opposite cliff. At a rest stop opposite Paro Taktsang. Buffet lunch at the mid-point rest stop and restaurant after visiting Paro Taktsang. Posing in Rinpung Dzong, Paro. 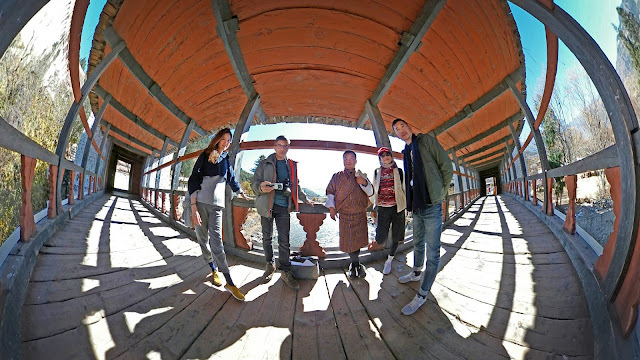 All by ourselves on the cantilever bridge outside Rinpung Dzong, Paro. Having lunch in a restaurant in Paro. 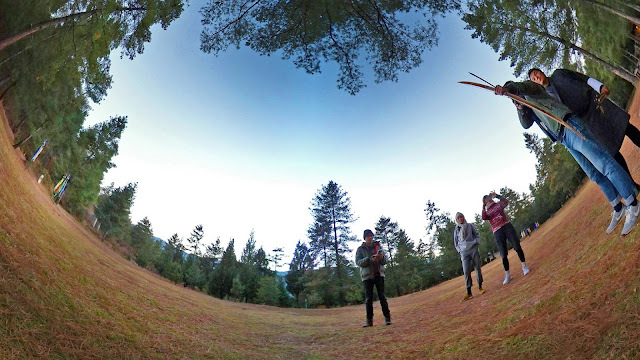 Trying archery in COMO Uma Paro (tiny target board on the left). 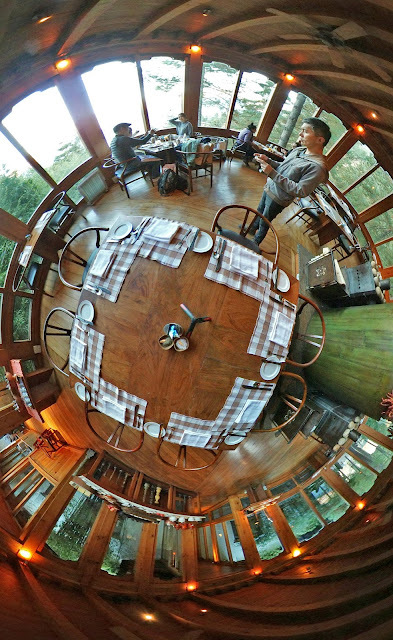 The main restaurant in COMO Uma Paro - the Bukhari. 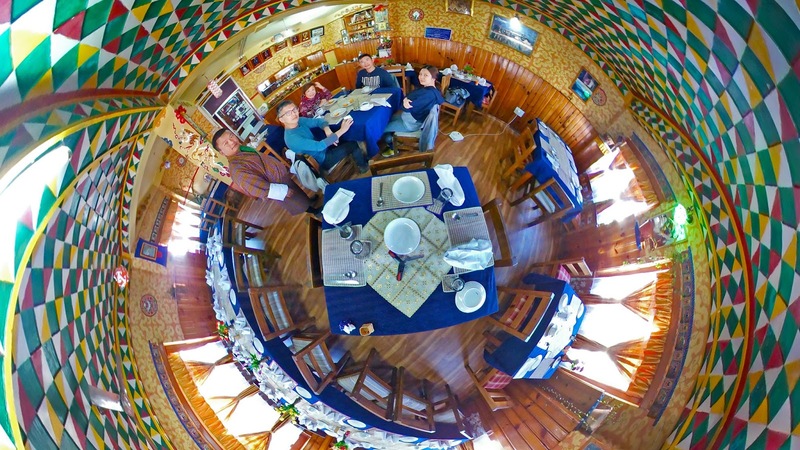 Enjoying our breakfast at Bukhari in COMO Uma Paro. Squeezing into the crowd and joining in the fun at the Dochula Druk Wangyel Festival. Curious children on the streets of Paro, all fascinated by my gadgets. Our last evening in Bhutan, celebrated with a fine dinner in a local farmhouse and followed by a series of local song and dance. 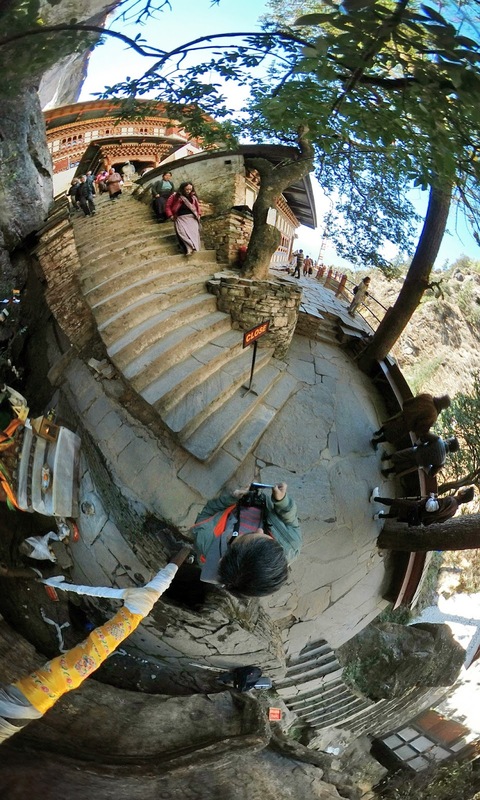 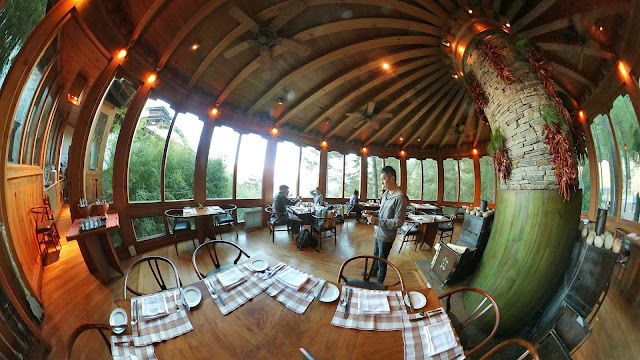 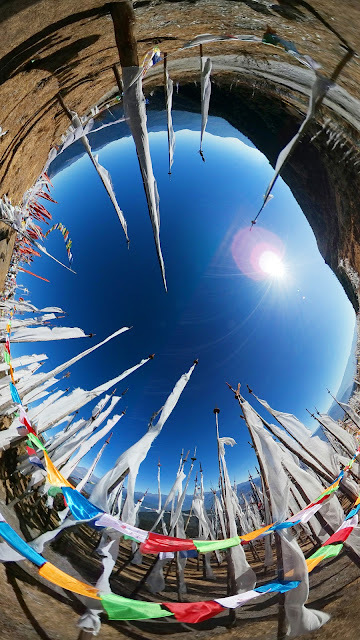 The 360 view makes you feel dizzy if you look with more concentration, but loved your photography.